â€˜The Gamesâ€™. A 15 minute film by Hilary Powell involving the staging of a surreal alternative Olympics. Produced by Dan Edelstyn and Optimistic Productions with support with the Office for Subversive Architecture and co-commissioned by Urbis. Hilary Powell is an artist and partner with Dan Edelstyn in the film company Optimistic Productions. (www.optimisticproductions.co.uk). 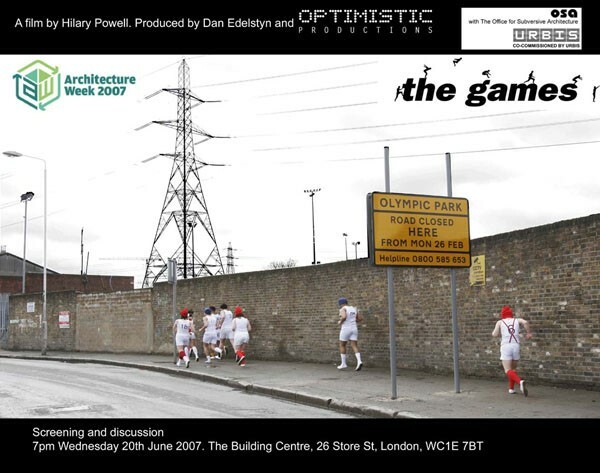 â€˜The Games â€˜ is an example of the hybrid practice they are developing fusing documentary, urban debate and event based art practices. Optimistic Productions are consistently working in this arena having produced a series of channel four three minute wonders called â€˜ Subverting the Cityâ€™ and a documentary on a recycled tube carriage development in Shoreditch where they are now based. They are continuing their work with the Olympics through an extended documentary called â€˜ The Ghosts of the Gamesâ€™ exploring the stories of the sites they passed through during the making of â€˜The Gamesâ€™. This led to their recent collaboration with Andreas Lang of Public Works on an ad hoc tour of the Olympic area. 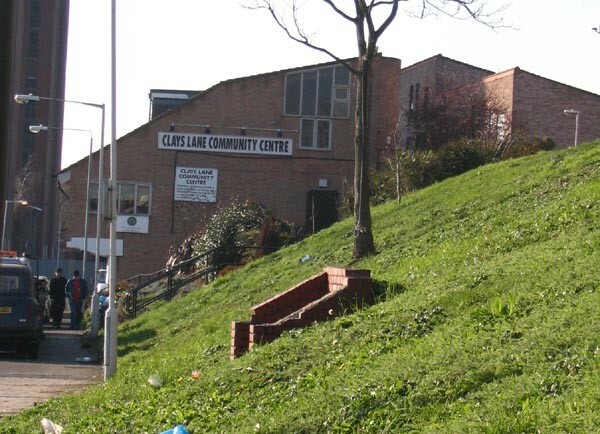 Julian introducing Clays Lane Estate before the screening of 'The Games' in Clays Lane Community Centre. Public works together with Optimistic Productions are organising a one day workshop and tour of the Olympic site in Stratford on Thursday the 8th of June 2007. 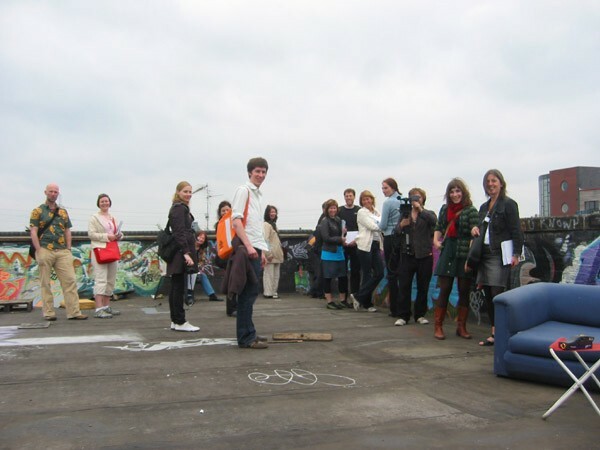 A group of 14 master students in urban planning from the university of architecture in Oslo, Norway will join the tour and produce an ad hoc alternative tour guide to the Olympic site. The day will start of with a bus tour across the site organised by Newham Council, followed by a screening of optimistic productionâ€™s film â€˜The Gamesâ€™ in the Clays Lane community centre. After Lunch at Rosieâ€™s Cafe the day will conclude in the Manor Gardens allotments where the tour guide will be assembled.